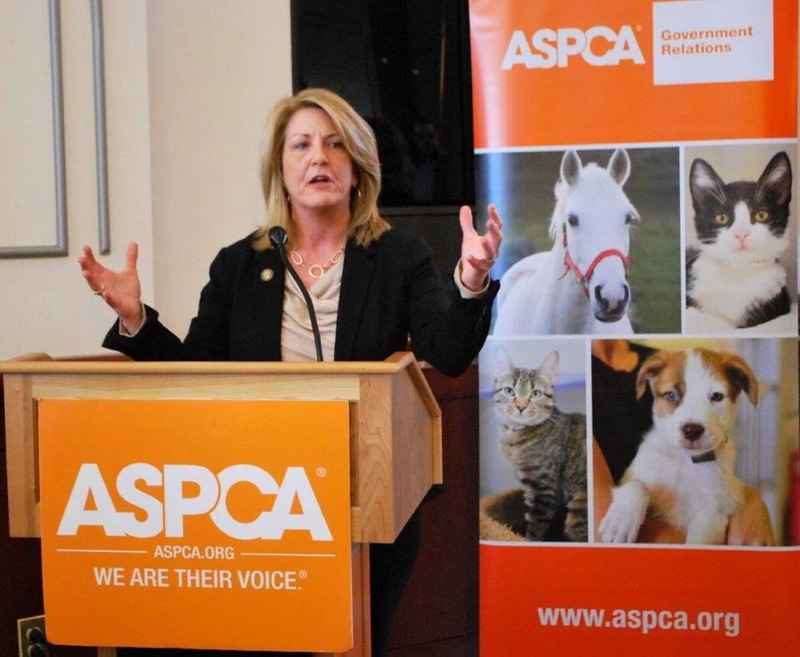 HARTFORD – State Representative Brenda Kupchick (R-132) and State Senator Tony Hwang (R-28) on Wednesday lauded the state legislature’s Judiciary Committee for passing measures to establish a statewide animal abuse registry and prohibit accelerated rehabilitation for people convicted of felony animal cruelty charges. The Fairfield lawmakers said the statewide animal abuse registry would help to better monitor and prevent animal abusers from gaining access to animals through adoption or through jobs involving the care of animals. Rep. Kupchick and Sen. Hwang noted that prohibiting judges from giving accelerated rehabilitation (AR) to criminals convicted of felony animal cruelty would prevent dangerous individuals from having that violent crime from being removed from their criminal records. The lawmakers are also co-sponsoring a measure to increase the penalty for intentionally injuring a police or search-and-rescue animal from a Class D felony to a Class C felony. The maximum penalties for conviction of a Class C felony in Connecticut are 10 years in jail and a fine of $10,000. “We simply can’t allow those who commit serious acts of animal cruelty to slip through the cracks of Accelerated Rehabilitation. AR is a slap on the wrist and allows violent perpetrators the freedom to go undetected by an unsuspecting public who could be subjected to the same acts of violence,” said Rep. Kupchick.